It has been a really, REALLY long time since I've blogged. However, tonight lots of different emotions are coming over me as I think about tomorrow, Father's Day, so I thought that writing about them would help me sort them out and to feel a bit more grounded. So, here goes nothing. Heck, I'm not even sure that I know where to start so I'll just jump in feet first!! Let me see...in my life I have had three fathers! Yes, you heard me right. Three. Yes, I will be happy to explain. First, of course, there is my biological father. His name is Chuck. He and my mom divorced when I was eight years old. Their marriage wasn't good at all, even at eight years old I knew that. In a nutshell, he drank entirely too much and and his idea of contributing to a family was to be the bread winner. After they divorced, we lived with my mom and were supposed to visit him every other weekend. Somehow, he sobered up and our new life seemed to start off as good as it possibly could have. However, after a short time he became involved with a woman who would become his wife. Her name is Rita. She is his wife; not my stepmother. To say I have bad feelings towards her would be the largest understatement ever in the history of the world. She is a mean, selfish, evil, hate filled, awful person. He somehow fell under her spell and sat back and allowed her and her children from a previous marriage slow but surely destroy the relationship I had with my father. She made the time we did spend at their house a complete living hell. He seemingly allowed this behavior and basically seemed to choose his new family over me and my twin sister. Although, looking back, I know it wasn't intentional. Back then, there wasn't much talk of blended families and there surely wasn't anyone around offering people help on how to handle blended families. He was newly remarried and I am sure he didn't want to rock the boat, so being passive must have seemed to him to be the easiest road to take. We all just do the best we can at any given moment to get by. Anyway, he was, for the most part, absent from my life as I went through my teenage years and my twenties. I would get token phone calls from him on my birthday and on Christmas which made me happy. During every call he would say that he was sorry, that he missed me, and he would promise me that he would some how make things better, that he would somehow make up to me all of the hurt he had caused, that he wanted to see me, that he loved me. Being young and naive, of course I believed him. Unfortunately, he never kept or followed through on his promises and the scab would be peeled away from the old wound and the pain would resurface all over again. At some point though, I think it was after I started having children, I realized like most children do, that even with all of the crap that had happened between me and my father - he was my dad and somehow I still loved him and wanted, even NEEDED, some sort of relationship with him. I am now 40 and I can say that we have clumsily forged a relationship and see each other a couple of times a year. It was awkward at first, but has gotten so much better. I would even say it is comfortable and pleasant. I enjoy being with him and spending time with my aunts, uncles and cousins on his side of the family. I will say that our relationship does not include his wife. I will never allow her to poison my world again. Ever. After lots of tears, honest talks, soul searching, praying and some hugs along the way, the hurt is finally gone and forgiveness has taken place. I am no longer mad and bitter towards him. He has A LOT of regrets about the things that happened all of those years ago and about the time we missed. Honestly, so do I. Today, I believe with all of my heart that he loves me the best way he knows how and you know what, that is ok. I love him too. Enter my Daddy. His name is Ralph and he has a bigger heart that many people I know. He and my mom met shortly after her divorce from my biological father, Chuck. I am pretty sure I was nine years old when they got married. He is what a daddy should be. He loved me and my sister from the very beginning. As we were growing up, he treated us like princesses. He is the one who helped take care of us when we were sick. He is the one who held us when our hearts were broken. He is the one who comforted us when loved ones passed away. He is the one who walked us down the aisle on our wedding day. He is the one who tried his best to make our every hope, wish and dream come true. He is the one who met nervous boyfriends. He defended us when we needed it. He scolded us too when we needed it. He always wanted to legally adopt us. However, Chuck (my biological father) would never allow it. When we were close to turning 18, my mom and dad set the wheels in motion starting the adoption process. As 18 year olds, we were legally adults and didn't need our biological father's permission to be adopted any longer. So, on the day of our 18th birthday, we went to the lawyers office, signed all of the legal documents and our "step dad" because our legal father... our daddy. He always had been, the only difference now was that it was legal and official. Unfortunately, when I was about 25, my parents divorced. Even though I was an adult, it rocked my world. It was rocked further when my daddy remarried. He married someone that I never would have chosen for him. She seems to be very materialistic and she definitely has a lot of insecurities about his relationship with me and my sister. He is not allowed to come to my house as my mom lives directly behind us. She has, in my opinion, intentionally caused some problems with my relationship with my daddy and again, he has allowed it. In a weird twist of fate though, given what I have been through with my biological father's wife, I refuse to allow his wife to ruin this relationship. I try my hardest to make the best of it and to be accepting of her and her ways. The relationship I have with my daddy is different now than it used to be, but he is my daddy and I love him with all of my heart and I know he loves me. He always has and he always will. I am working on not being bitter about the path this relationship has taken. It isn't easy, but I am trying. My mom reminds me that the bad things that sometimes happen now with him and his wife do not make null and void all of the years he spent pouring his love, time, attention and devotion into me and my sister. She is right. He was, and still is in his own way, the most amazing daddy a girl could have asked for. ::::wiping tears from my eyes and taking a deep breath:::: Man, this is tough!!!! Next, there is my stepdad. His name was Cass, but we all called him "Pops." He was amazing! I am trying to remember exactly when my mom and him met. It was either in late 1997 or early in 1998. They were married in December 1998, in the most beautiful wedding ceremony I have ever seen. Lane was born a month after they were married and you have never in your life seen a grown man more in love with his grandchild. Or a baby more in love with his grandfather. He taught Lane to crawl. He fed him new foods. He changed diapers. He played with him. He went with me to some of Lane's doctor visits. He walked the floor with Lane when Lane had colic to give me a break. He was so kind, so very generous, so full of life, so loving, so funny and just a bright light shining in all of our worlds. He was crazy, crazy protective of me. I was going through a very difficult period in my own life at that time and Pops was like a knight in shining armor to me. I will always be eternally grateful for him and his love. The time we had with Pops was cut entirely too short. A few months after he and my mom were married, he was diagnosed with cancer and went home to heaven in July of 2000. During the months he was sick, I did things to help take care of him that I never dreamed I could do...but that is what happens when you love someone. I wanted to do anything I could to help him. Sometimes in life, things happen that we will never understand this side of heaven. One of those things for me is trying to understand why God gave Pops to us for such a brief time and then called him home so fast. I also know that thanks to God's promise to us, we WILL be reunited with Pops in heaven one day. The time we had with my Pops were filled with more love and happiness than some people have in a lifetime. And, while the pain of losing him never goes away, I don't regret loving him the way I did, still do and always will. So, there you have it. The story of my three fathers. It has been a long, sometimes very very painful journey but journey has also been filled with lots of love and happiness. I am blessed to have had all three of these men in my life. I have learned very valuable, life changing, life impacting, important lessons from each one of them. These are lessons that I try daily to pass along to my own children. All of these things have molded me into the person I am today. God put each one of these men in my life for a reason. I trust my Heavenly Father above all others. I am still trying to learn lessons from these three relationships. They are all so different and my relationship with each of them was/is so different. Finally, I can openly say that yes, I have three dads. And, for the first time in 40 years, as crazy as it may sound...I am totally, completely, 100% ok with that. Happy Father's Day to ALL of my dads. Have you ever felt like you have a decision to make? Like you need to figure out which direction you need to go? Well, that's how I'm feeling about my "church life". I absolutely, without a doubt, with ever fiber of my being - love my church, HPC. I love my pastor(s). I love the work that our church does. I love the heart of our church. I love the passion of our church. I love that our church truly is - a healing place for a hurting world. We have been going to church there for about 5 years now. For months...ok, maybe even a couple of years - I quietly sat "on the side" lines wanting to connect with the people there, but was clueless about how to do it. It took me a long time, but as crazy as it sounds, I finally connected with a couple of people through blogging and now, through Facebook. I've even joined a life group, led my my amazing friend Summer! She is an AMAZING person and I am SO very blessed to have met her and to call her friend. But see, I have come to realize that being a part of this amazing church...well, it's not all about me. (Imagine that!) It's not all about me going to church each week to recharge my battery for the coming week. It's not all about me going to church to worship the God that I love so much. It's not me going to church to see my friends. It's not all about me going to church to listen to Pastor Dino preach his heart out, make me laugh, then to make me say "Amen!" outloud during service. It's not all about just making me feel all warm and fuzzy inside. Now, mind you, there is nothing at all wrong with those things I just mentioned. It is ok for ALL of those things to happen, and I think that those things do bring happiness to God. But, the bottom line is... It's not JUST all about me. So, here I am. I believe with all that I am that each and every of us are called by God to DO SOMETHING. To get out of our comfort zones, and to truly BE the hands and feet of Jesus. But, what in the world is MY calling?? How do you figure that out? How do you know that you are doing what HE wants you to do, rather that doing what YOU want you to do???? See, I love, love, love worship. I love it with ALL of my heart. Music and song have always been a very powerful tool for me. A few weeks ago, at HP Women, the whole session was worship. We sang out hearts out to HIM for probably an hour and a half. It was an amazing night and I was sad to see it end! For as long as I can remember, I have loved to sing. In high school, I sang in several different choirs and, to be honest, I was pretty good at it... even won several awards and medals. But, that was years ago! LOL! Anyway, the reason for my saying all of that is this: I would LOVE to join the incredible choir at HPC. But, is that me wanting to do that because it's what I want...for me?? Or is it what God is calling me to do... for Him???? Or, is it possible that He wants me to try to join the choir AND to also get down in the trenches and work hard for Him too?? My friends from church are all involved in different outreaches where they get to love on and try to bring Jesus to people that so desperately NEED HIM. They get in the trenches. They get down and dirty for Him. But, my calling might not be the same as their calling. See, how do I know??? By the way, this last paragraph just came to me as I am typing. 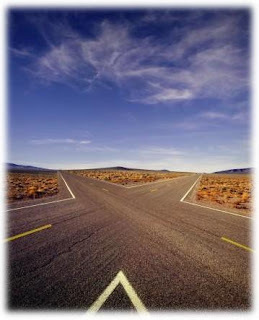 Over and over and over in my head and heart, I keep hearing: "DISCERNMENT. DISCERNMENT. DISCERNMENT. Ask for it and I will gladly give it to you, and then you must use it." Yes Father, I'm asking for it. Whatever I do, I want to bring Him glory. He deserves it... ALL of it. After all... It's all about Him... not me. I've been doing some thinking and I've decided to give this blog thing another try. I have also decided to not make it a private blog any more. This is MY place to openly talk about my life and if there are random people who don't like what I have to say, so be it. Oh, and just for clarification... that is not meant in a mean, ugly or judgemental way at all. Life has been GREAT lately! The boys are doing awesome, just growing up right in front of my eyes. Mike is doing great too...just working a lot and helping to run sound at church most weekends. Oh, and in January, I was blessed to find a part time job and I'm loving it!! A few weeks ago or maybe a month or so ago, I blogged about a situation that happened regarding my at home babysitting job. Like most people do, I was venting in the middle of a situation as it unfolded, except I was venting on MY blog. Well, on Jan.29th, some ANONYMOUS person decided to visit my blog and leave a comment on just that particular blog post. (I have since deleted the comment.) Of ALL of the positive blog posts on my site, someone picks that post to comment on. Strange. My first thought was that one of the "friends" that I referenced in that blog post had somehow found my blog and that it was one of them who left the comment. Now, I don't really think that is true because I've seen them since the 29th and they acted just fine towards me. So, apparently the comment was left by some random, hate filled stranger. A stranger who knows NOTHING about me, my life, my past, my struggles, my values, my, friends or my faith. I will pray that God touches this person's heart and that this person will make a decision to start treating people with love and kindness, rather than with hate and meanness. The comment was judgemental, scathing and demeaning...not nice at all. As most of you know, talking about my feelings is something that I am really not too good at and I am trying really hard to open up and not stick my head in the sand any more. Needless to say, that comment left me very upset. It made me question everything I know to be true about myself and I'm just not up for that. Mind games are something that I detest. It is hard enough for me to open up about my feelings, much less worry about some stranger attacking me for them. That is why I have decided to change my blog to "private." My blog is MY safe place to talk about my life, my family, my issues, my struggles and my successes. I thought about just deleting my blog all together, but that would be counter productive for myself. I have some really GREAT friends in the blog world and I refuse to give some stranger that much power. Oh, and about the previous blog post and my babysitting job ending... it seems that as always, God knew just what he was doing. He is amazing ... I really can see His hand in so many areas of my life. And, the relationship with my friends seems to be somewhat patched up. It was very awkward at first, and Mary didn't come around us for a long time. Her husband said it was becuase she didn't know what to say so she was just avoiding it all together. I know her pretty well, and that is exactly how she handles difficult things that she is faced with in life. Looking back, it's easier to not be angry about the whole thing. None of us are perfect and we all make mistakes and sometimes do what we feel like we have to do. So, thankfully, our friendship seems to be on the mend. Will it ever get back to where it was? I'm not sure, but I think I would like for it to. They have been really good friends of all of ours for a long time. Let's all take a moment today to remember and to be grateful for Martin Luther King, Jr. Without him, his passion and his dream... God only knows where we would be today. I thank God today that He sent His servant, Dr. Martin Luther King Junior, to live on this earth with us, if only for a brief time. The time that he spent here did more for the human race than most people can wrap their minds around. 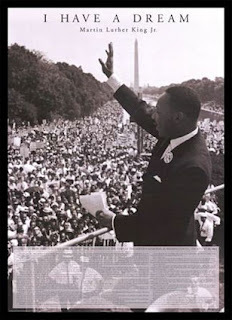 Dr. King was a man of rare greatnesss and he truly deserves respect and honor from each of us. He paved the road for race relations to get to where they are today. Are race relations perfect today? Of course not. But, they are much better than they used to be. Had I been alive back in the days of Dr. King, I would have been proudly marching right along with him. Racism, in any form, sickens me to the very core of my soul. Dr. King literally gave his life for a dream that he had, a hope for all of us, ... a dream, a hope, a cause that was so much bigger than just himself. 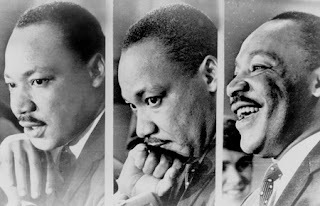 From his 1963 speech, delivered to a civil rights rally on the Mall in Washington, King said: "I have a dream that my four little children will one day live in a nation where they will not be judged by the color of their skin, but by the content of their character." Thank you, Dr.King, from the bottom of my heart. Wow. My oldest son, my baby boy - Lane - turns 10 years old today. It seems like he was just born last week. What is it about your first born that is just...well... a little different somehow. Lane is an amazing little boy and he will always have a special place in my heart. I am so blessed to have him as my son. 10 years ago today - I saw my first born child and my life changed (for the better) forever. 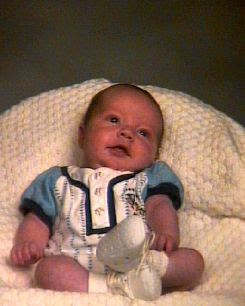 10 years ago today - I fell totally and completely in love with my oldest son, Lane. Today is Elvis Presley's birthday. He would have been 74 years old today. Wow. Is it just me, or is it impossible to imagine Elvis being 74??? My sister and I grew up listening to his music. Our mom is, simply put, an Elvis fanatic. Apparently, it's genetic because I am STILL a huge Elvis fan!! I absolutely LOVE, LOVE, LOVE Elvis. His music is like nothing else I have ever heard. 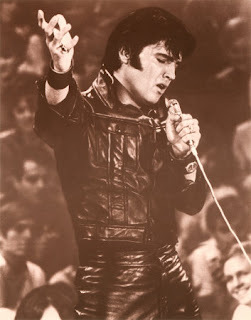 Elvis Presley and his music are woven into my childhood memories like a silver, sparkling web. My mom likes to tell people that my sister and I were rocked to "Love Me Tender" rather than "Rock-A-Bye-Baby!!" One of my favorite childhood memories is from when I was about 5 years old. My mom, the saint that she is, took my sister and I to an Elvis concert in Baton Rouge!!!!!!!!! Before the concert began, I can remember her FIRMLY telling us that there would be no bathroom trips during the concert, no going to get a drink or anything else during the concert. No problem, Mom!!! The excitement of the concert and seeing Elvis with my own eyes and hearing his voice live is something I will always remember! What an incredible show!!!! Honestly, I'd be hard pressed to believe that there is any other musician around today who has as much raw, pure vocal talent as Elvis had. He truly had a gift and his music touched so many people's lives. His music has influenced so many of today's singers. Not to mention the fact that the man was HOT. I mean H-O-T!! I still get the "giggly teenage girl" feeling when I watch him on TV, DVD, etc. Man oh man!!!!!!!!! Happy Birthday Elvis!! You may be gone, but you are certainly NOT forgotten. Mr.Sandman visited my house TWICE last week during the day!! Each of my kids fell asleep in the same overstuffed chair a day apart. Lane NEVER takes naps and Ryan doesn't like to take naps much anymore either. Two days in a row I noticed that it got quiet in our house (that's a BAD sign around here!) so I took a peek and one day Ryan was snoozing away. The next day, it was Lane's turn. What the heck?!?! It must be that chair...it's so big and very, very comfy! Aren't they CUTE?!?!? They are always cute, but when they are sleeping there is a innocence I see in their faces that just melts my heart. I love my boys! How does this happen?? I mean, really. It seems like we were just welcoming in 2008. I blinked, and now 2009 is just two days away. My mom always told me that the older you get, the faster time seems to pass. She was right! Overall, 2008 has been a great year for my family... and for me personally. Of course, it had it's ups and downs...but overall it's been good. - became an aunt/Nanny for the 3rd time!! Yeaaaa for Baby James!! I love him so much!! - reconnected with my bestest friend, Dawn !! - worked really hard on and have gotten better at opening up. Still have a long way to go, but I'm making progress! It's not always easy, but I don't want to spend my life being an ostrich! - grown even closer to my wonderful husband! - learned to be more patient with my children, Lane & Ryan. They are the loves of my life and I thank God for both of them. - the relationship with me & my daughter has grown from parent/child to parent/young adult. She is awesome and I am so proud of her!! We have come a LONG way this year. - been there for my mom when she needed me. She is an amazingly strong woman and I am blessed that she is my mom! - been able to spend more time with my sister and her boys (they are like my other 2 sons!) since she isn't working anymore!! Lauren is my other half, seriously, I would be lost without her! - learned that even when things/situations don't look good ... to have a deep faith that God is in control and that it will work out according to His plan, not mine. - through a lot of letter writing, a few phone calls, and (so far) one (going again in January) visit, developed a great relationship with my friend, Dawn's, son, JP. He has always had a special place in my heart and I'll always be there for him! - started blogging and I love it! Made some really good friends in the "blog world!!" - took a "not-so-popular-in-Louisiana" position in the 2008 Presidential Election. Carole's, amazing journey of faith and determination to adopt and bring home her beautiful son from Africa!! What an experience for her entire family! I can't wait to meet "A"! - learned to not be a "lazy" friend. Friendships don't just happen by themselves and they are too important to ignore. - learned to be thankful, really thankful, for the blessings that me & my family have been given. Blessings, no matter how big or small, are all around all of us. We just have to open our eyes and SEE them. I hope and pray that each of you has a wonderful, safe, Happy New Year!! 2009 is going to be a GREAT year! I just know it!! WARNING: This will probably be a long, rambling post. I am mostly venting and trying to not be an ostrich any more! Ok, I am going through something not-so-great right now and have debated back and forth with myself over whether to blog about it or not. Obviously since I'm typing this and you are now reading it, I've decided to go ahead and blog about it. I do not want to continue my ostrich pattern any longer and hopefully I will get some good advice on how to handle this sticky situation. Ok, as most of you know my JOB is babysitting children in my home. The money I make from doing this is in no way "extra" money for us. It is used as actual income and goes towards paying the mortgage and our monthly bills.... just like most anyone's paycheck does. It is money that we count on to make ends meet each and every month. When this job started almost a year and a half ago... my "friend" & neighbor (Mary) approached me about babysitting her 3 kids. I had started working in November 2006 and it lasted only 6 months because I wasn't making enough money to justify the expenses that we incurred so that I could work, daycare, gas, clothes, lunches, etc. Plus, our youngest son Ryan was not handling daycare well at all - to put it mildly. So, she knew we were struggling financially. It just so happened that Mary's mother (who happens to live across the street from me) had been babysitting her kids and had recently decided that she was not going to continue to babysit any longer. So, Mary came to me to see if I would be interested in babysitting her kids instead of me trying to find another job outside of my home. I had been praying for an answer to our financial problems, and this seemed to be it!! It seemed to be the perfect solution to both of our problems. Mary's best friend, Michelle, also happened to need a babysitter for her little girl too. I also happen to know Michelle through Mary. So, Michelle approached me and asked if I would be interested in babysitting her daughter as well. Of course, I accepted the offer. So, that's how it went for an entire year. It was very hectic and stressful ... but I did everything I was asked to do and then some. I kept the kids when I was sick, when my kids were sick, when the kids I babysat were sick, etc. This year, right before school started, Mary's mother decided she wanted to babysit Mary's 3 kids again. Now, don't get me wrong, I love Mary's mom...but she isn't always dependable to say the least. There is SO much drama with her, it's unreal...but she has a good heart. Anyway.... when Eric (Mary's husband) found out that his mother-in-law wanted to keep the kids again, he was a bit uneasy about it. He was afraid that she would just decide one day out of the blue that she was done babysitting, or that some "health" issue would come up for either her or the grandpa and that on any given day she wouldn't be available for the day, several days or weeks to babysit. Which would mean that Mary & Eric would be stuck without childcare for their 3 kids, which would be a huge problem for anyone. So, Eric, (who is a lawyer) came over one evening and asked me if I would be the grandma's backup if he committed to me that he would still pay me the same amount each weekly to keep me on "retainer" so to speak. He said that this arrangement would last through the end of the summer of 2009. I felt a little odd about taking money from my friends and not really doing anything... but he assured me that this is what they wanted to do and that it was a small price to pay for security and stability for childcare. So, I accepted their offer. This was right before school started this year. 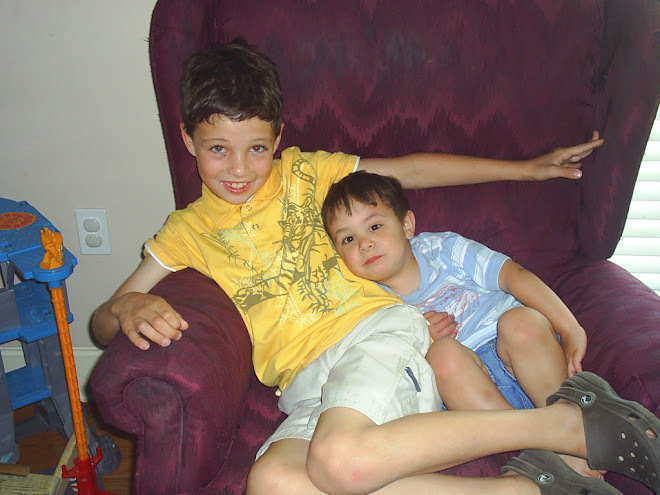 And, just like Eric thought would happen, there have been several times since school started that the grandma couldn't keep the kids, so I was there to do it. No problem... I held up my end of the deal consistently. In fact, there have been times when their 3 kids just showed up at my front door in the morning without anyone letting me know in advance that I would need to keep them that day. In the beginning of this arrangement, Mary or Eric would come over and give me a check on time. Lately though, I have had to walk over to their house and ASK for my paycheck. Doing that makes me feel extremely uncomfortable and I've told them that I hate ASKING for it. They have always told me not to feel like that, that they just get busy and forget. As of Friday, they had not paid me for the past TWO weeks. Finally, I decided to walk over there yesterday and tell them that I need it. Our mortgage payment is due on Jan.1st. So, I get there and Mary is at work. No problem, I'll just talk to Eric. I ask for the check for the two weeks. He says that he doesn't have the checkbook that Mary has it with her at work. (I did eventually get paid for the previous two weeks today - Saturday.) I take a deep breath and ask if everything is ok, and ask if this arrangement is something they want to continue to do because I'm getting a strange feeling about things. Eric then drops a bombshell. See, Mary & Eric are planning to take their family to Disney World in February, which I already knew. He then tells me that the law firm he works for has always given their employees a BIG Christmas bonus each year. It turns out that a couple of weeks ago, Mary & Eric had to pay for their trip to get whatever price it was that they were quoted. Well, at that point, Eric had not yet received his bonus. So, he called his mom & stepdad and they agreed to CHARGE their trip to mom & stepdad's credit card. Yes, you heard me. They charged over $3000 to someone else's credit card without having the money to pay them back. Well, guess what happens next?!?! That's right.... turns out that Eric's firm had a change of heart this year and they are not given their employees a bonus at all. Long story short, Mary & Eric have decided that one place they can cut their monthly expenses is to cut me off. The arrangement that THEY offered to me and that I counted on for income is over. They will use the money they used to pay me to pay his mother back. But wait, it gets even better. Michelle is also losing her job due to the company that she works for centralizing their sales force to Oklahoma. Her last day of employment is Jan.23rd. Michelle is a single mom with no family in the immediate area. Claire (Michelle's daughter) goes to a private Kindergarten and one of my duties included taking her to and from school. When Michelle found out a few months ago that she was losing her job, she asked if once she finds another job would I please continue to be Claire's babysitter. Of course, I said I would. Problem is now I won't be able to do that since the amount Michelle pays me isn't enough to make ends meet for my family. So, that leaves Michelle up a creek for a babysitter as well. Mary & Eric have agreed to pay me through Jan.23rd. With all that said...as Jan.23rd...I will no longer be babysitting kids. Unemployed. And, with the kind of "job" I had, I'm not even eligible for unemployment benefits until I can find a new job. This means that I MUST find a job (quickly!) and go back to work outside of the house which means that I may have to put Ryan in daycare and maybe Lane in a before & after school program at a daycare as well. Needless to say, I am not happy at all. I feel like I was used, betrayed, lied to and taken advantage of. Mike often asks me why I don't have many "girlfriends" that I am really close to...this is a perfect example of why. My close inner circle consists of my sister, my mom, my daughter,my friend Dawn, and my friend Polly (who happens to be Mary's sister!) and that is just fine with me. For years, I considered Mary to be a really good friend of mine. Now, not so much. Lane and Mary's oldest son are best friends, I am close friends with Polly (Mary's sister! ), our mothers are friends. Our families are very much intertwined. I am really hurt that they chose to do this. All of this is happening so that Mary can take her family to Disney World. Eric told me that he asked Mary about cancelling the trip and getting a refund. She told him no that if they did they would lose a $500 deposit and she WANTS to go. Mary was born with a silver spoon in her mouth and I now realize that she wants what she wants when she wants it and will do whatever it takes to make it happen. In my book, this is not how you treat your friends. So, if anyone in the Baton Rouge/Gonzales/Prairieville area knows of any job openings... please let me know. I would greatly appreciate it. I fully believe that God has a plan for ALL of us and while I may be surprised by this recent turn of events, He is not. I may not understand His plan, but I have faith in Him and in His plan for me and my family. I have faith that I will find another job and that my family will be ok. Please keep us in your prayers!! 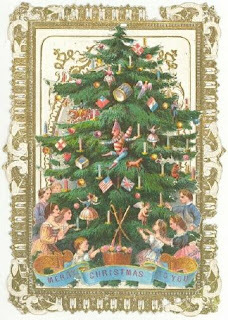 I hope that each one of you and your families have a wonderful Christmas filled with love, happiness and peace. Enjoy the time you spend with your families and friends. The best gift we can give each other is our time, our love and kindness. Let's not forget what Christmas is really about. Yes, it is about a gift...but not the gift you can buy at WalMart or at the Mall. 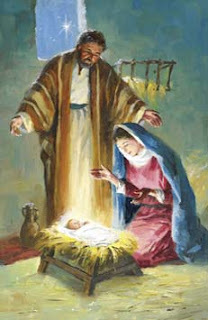 It is about the ultimate gift that God gave to the people He loves SO very much (us)... His one and only Son. He gave us that gift because of who He is... not who we are or because of something that we have done. I pray that everyone has a safe and Christmas filled with God's grace and love! Yesterday, Dec.22nd, my baby turned 4. Yes, my baby boy is now 4 years old. I can't believe it! Where has the time gone? 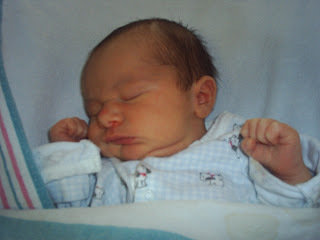 It was 4 years ago yesterday that I held him for the first time and looked into his beautiful eyes. It was 4 years ago yesterday that the image of his precious face was engrained into my memory for the rest of my life. It was 4 years ago yesterday that I heard his cry for the first time and for the first of many times, I was able to calm him, soothe him and quiet him. It was 4 years ago yesterday that I totally and completely fell in love with my youngest son, Ryan. My prayer for you is that you will have a long, HAPPY life covered by God's grace and love for you. I pray that you will always be as sweet, as loving, as smart, as happy and as kind are you are today. My hopes and dreams for you far surpass anything I could ever possibly put into words. Happy Birthday Ryan, my baby boy. I love you SO very much! Every day I get an email from the AWESOME Christian Radio Station, KLOVE. Todays was great so I wanted to share it. It just seems to fit right now in this season of, what has so sadly become, so very materialistic for so many people. A lot of people lose sight of what Christmas is all about and get lost in the madness of "Gimme Gimme Gimme." There are a lot of families that for whatever reasons just CAN'T (or maybe won't) get their kids all of the newest, fanciest, most expensive gifts. I am one of those "can't" parents, and if I am going to be completely honest, I admit that it is something that I do struggle with. I have to remind myself sometimes... ok, OFTEN, that big, fancy, expensive gifts are not what Christmas is all about. The greatest gift we have ever received did not cost a dime, although the ultimate price was paid for it. It is so important that we teach this to our children... and also remind ourselves of this as parents. Or, is anyone else having a panic attack over the fact that there is only one week left until Christmas. Yep, that's right... ONE WEEK!!! It's crazy. It seriously seems like Thanksgiving was just last week. I mean, I knew Christmas was coming - just like it does every year. But somehow, it is HERE all of a sudden!! How does that happen?? I still have a good bit of stuff to get done before the big day. I spent the better part of yesterday and today shopping, and I'm just about finished. Just 3 people left, I think. God help me to not forget anyone!! Mike's work Christmas party is tomorrow night. And we still have to go see Santa, finish shopping, make goodies, wrap presents, clean the house, go grocery shopping, etc. Help!!!!!!!!!!!!!!!!! LOL!!!! Plus, Lane is in the Christmas program this weekend at church! They will be performing at all 4 services. And guess what?! Lane was given a small speaking part in the program!! I am SO excited and so very, very proud of him!! He is very excited about it too, and he just loves being part of the Kids Worship Team. 50 random things about you! I got this from my friend, Dawn's, blog! If you read this, FILL IT OUT! Learn 50 things about your friends, and let them learn 50 things about you! 2. Have you ever smoked? Only a couple of times trying to be cool- yuck! 3. Do you own a gun? Nope. Guns make me nervous! 4. Do you like listening to Christmas music? Yep. 5. Do you get nervous before doctor appointments? Only when they make me get on the scale! 6. What do you think of hot dogs? Yummy with chili. 7. Favorite Christmas song? Joy To The World! & What Child Is This? 8. What do you prefer to drink in the morning? It's a one-two punch. First, coffee then switch to diet coke! 9. Can you do push ups? This is a joke, right? 10. Who is your favorite Grey's Anatomy Character? I don't watch it much...but McDreamy is easy on the eyes. 12. Favorite hobby? Computer Time! 13. Do you eat "exotic" foods? Uhhhh define "exotic!" 14. Do you have A.D.D.? Not officially, but I swear I have "adult onset ADD" if there is such a thing! 17. Name 3 thoughts at this exact moment? Need caffiene! My list of things to do today, and this is fun! 20. Current worry right now? My best friend's son, JP, & trying to get everything done before Christmas! 21. Current hate? Hmmmmm...nothing really. 22. Favorite place to be? Home & with family/friends! I love being at HPC too! 23. How did you bring in the New Year? At our neighbor's house for a party and fireworks! Fun!! 25. Name three people who will complete this? I have no idea! 26. Do you own flip flops? Well yeah... duhhh!! 29. Can you whistle? Not so much. 31. Would you be a pirate? No way! 32. What songs do you sing in the shower? None, but I sing like crazy in the car! 35. What's in your pocket right now? They're empty...other than some fuzzies! 36. Last thing that made you laugh? A letter from JP and my kids! 37. Best bed sheets as a child? White sheets with little pink flowers. 38. Worst injury you've ever had? Broken rib...ouch! 39. Do you love where you live? Yep!!! 42. How many dogs do you have? None. We're cat people! 43. Does someone have a crush on you? I doubt it! 44. Hmmm.. there's not a 44. 45. What is your favorite book? Danielle Steele, John Grisham & Nicholas Sparks. And of course, the Bible. 47. Do you know all the words to the Fresh Prince theme song? Most, but not all. 50. What was the first thing you thought of when you woke up? Uggghhhhhhhhhhh it's time to get up already?? I need coffee! Ok, that was really fun!! Take a minute and fill it out... I can't wait to read yours!